The daily dietary choices we make go far beyond impacting our physical health. They also have a significant effect on our short-term and long-term cognitive health, and ultimately may even factor into how we think and behave. However, before we can look at the major role that good nutrition has on the health of our brains, we first need to know the difference between our brains and our minds. 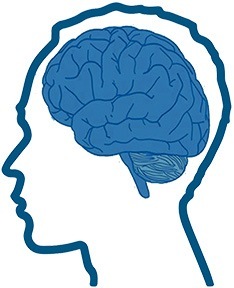 Our brains are the working process of our consciousness minds, which is connected to a network of 85 to 100 billion neurons in our brains. These neurons are connected to billions of other neurons that control every cellular function in our bodies. What’s amazing is that all of these neurons transfer messages of thought that are created in our minds beyond the physical world by chemical neurotransmitters. These messages of thought are delivered and stored in our unconscious mind bodies and produce our repeated patterns of life and our daily habits. Just how powerful is this process of our minds to use our brains to create and store these messages that control us on a moment-to-moment basis that determines our neurological us? Our neurological us is our personalities and our personality traits we share and express to the world, and that world responds back to us and confirms who we are and who we are becoming neurologically. 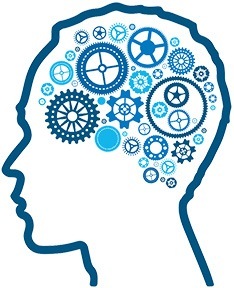 Keep in mind, our neurological self-drives 95% of our unconscious program self by sending messages back up to our brains so we can act without thinking; nerve and the brain-body connection. This huge and daunting task is assisted by our nutrition, opening more chemical channels to release more neurotransmitters. In order for neurons, or nerve cells, to send messages throughout the body, they need to be able to communicate with one another. However, neurons are not simply connected to one another. A small gap, called the synaptic cleft, separates each neuron. Thus, a chemical messenger is needed to relay signals between neurons. It is neurotransmitters that are the chemical messenger that carry signals between neurons and other cells in the body through a process called neurotransmission, ultimately allowing communication to take place between neurons. The neurotransmitters that get released in the brain can affect an array of psychological and physiological functions; including mood, learning, concentration, appetite, sleep, and heart rate. Neurotransmitters are so important that neurotransmitter imbalances are thought to be associated with Alzheimer’s disease and Parkinson’s disease, as well as psychiatric illnesses such as depression and schizophrenia. Scientists have discovered more than 60 molecules that meet the criteria for being classified as a neurotransmitter. Acetylcholine: a very widely distributed excitatory neurotransmitter that triggers muscle contraction and stimulates the excretion of certain hormones. In the central nervous system, it is involved in wakefulness, attentiveness, anger, aggression, sexuality, and thirst. Dopamine: involved in controlling movement and posture. It also modulates mood and plays a central role in positive reinforcement and dependency. GABA (gamma-aminobutyric acid): contributes to motor control, vision, and many other cortical functions. It also regulates anxiety. Glutamate: is associated with learning and memory. Histamine: plays a role in metabolism, temperature control, regulating various hormones, and controlling the sleep-wake cycle. Norephinephrine: is important for attentiveness, emotions, sleeping, dreaming, and learning. Norepinephrine is also released as a hormone into the blood, where it causes blood vessels to contract and heart rate to increase. For neurons to communicate with one another, neurotransmitters must be released from one neuron and bind to another neuron. In doing so, signals are relayed from neuron to neuron, which ultimately allows our thoughts, behaviors, and bodily functions to be expressed. In order for neurotransmitters to be released from neurons in the brain, an electrical impulse, called an action potential, must be generated. This electrical impulse allows for neurotransmitters to cross the synaptic cleft. Once neurotransmitters cross the synaptic cleft, they bind to receptors on another neuron. The neurotransmitters act like a key and the receptor site act like a lock. It takes the right key to open specific locks. If the neurotransmitter is able to work on the receptor site, it triggers changes in the receiving cell. This results in messages being relayed from one neuron to another. In order for the electrical impulse to be activated that triggers the release and transport of these neurotransmitters, an electrical gradient must be maintained in each cell. The sodium potassium pump is the mechanism responsible for maintaining this electrical gradient, doing so by pumping two potassium ions into the cell and pumping out three sodium ions, ultimately leading to the interior of the nerve cell being slightly more negative than the exterior. This creates the conditions for an electrical signal to travel. Without this proper functioning of the sodium potassium pump, nerve cells will not function and neurotransmitters will not be released in appropriate amounts, as an imbalance of sodium and potassium will result in either too many or too few neurotransmitters will be released. The functioning of the sodium potassium pump is greatly impacted by our diet, as we consume both of these minerals through the foods that we eat. The Dietary Guidelines for Americans recommends that both adults and children limit sodium intake to 2,300 mg- which is about one teaspoon of salt. However, the average American consumes 3,400 mg of sodium on daily basis! Furthermore, only 3% of Americans consume the recommended 4,700 mg of potassium per day, with most Americans consuming just about half of this recommendation. This over-consumption of sodium and under-consumption of potassium is associated with many health risks; including high blood pressure, stroke, obesity, and heart disease. 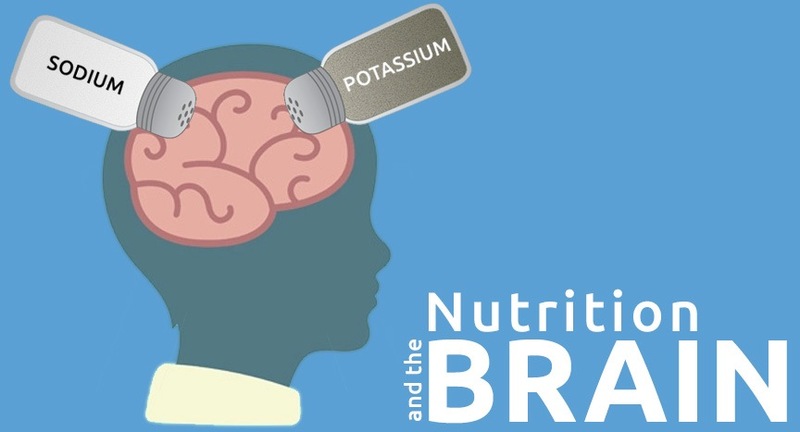 Furthermore, this excess sodium intake and deficient potassium intake can also lead to sub-optimal functioning of the sodium potassium pump, thereby leading to weaker nerve impulses, which results in fewer neurotransmitters being released in the brain. Thus, it is no surprise that researchers are now correlating high sodium diets with memory and concentration problems. Furthermore, as neurotransmitters play a role in dictating emotional state, any influence that weakens neurotransmitter could affect our emotions as well. Therefore, it is important that we balance our sodium and potassium intake. Doing so helps to ensure that the electrochemical gradient in each neuron will be optimally maintained, leading to stronger electrical signals in the brain and a greater release of neurotransmitters, ultimately resulting in not only an improved physical state, but also an improved cognitive state. What Should I Eat to Positively Impact the Sodium Potassium Pump? So how do we balance our sodium and potassium intake? Well, the answer is really quite simple- minimize processed foods! While most people generally correlate adding salt to a meal while cooking or after it is prepared as the culprit for the overconsumption of sodium, this is not the case. Rather, the culprit of Americans’ overconsumption of sodium is salt that is added during the preparation of processed foods, which is a staple of the American diet. Restaurant food and drinks, even items such as sweet blended coffee drinks, doughnuts, and cookies all contain high amounts of sodium. On the other hand, a daily diet consisting of two-thirds unprocessed plant foods and one-third unprocessed animal foods will only provide you with around 600 mg of sodium. In fact, it would seem nearly impossible to consume more than 1,200-1,500 mg of sodium per day from unprocessed foods! Additionally, consuming a diet high in unprocessed plant foods will result in naturally higher potassium intake, as potassium is found in abundance in many plant foods. Some of the best sources of potassium are bananas, potatoes, prunes, oranges, beans and tomatoes. While many people tend look for a quick fix to maintaining sodium-potassium balance through supplementing, this is not recommended. Most people get more than enough sodium through their normal diet. Furthermore, while overconsumption of potassium is rare, it can occur via overdosing with potassium supplements, which can have dangerous side effects. The daily choices we make have health consequences that impact both our physical and cognitive wellbeing. The small decisions we make on a daily basis add up. Overtime, consistently making the choice to opt for the convenience of processed foods over more nutritious whole food can impact our memory, concentration, and mood- and may even go so far as to factoring in to how our neurological-self is expressed.